I am going to admit that I am not very imaginative. When Strawberry Singh’s Monday Meme came out this week I had to stop and think a bit. She has asked that we blog something we haven’t blogged before. So I set about to figure out what I could do that I hadn’t already done. I have done fashion posts, home & garden, landscape & location shoots, reviews, tutorials, commentary and even real-life photos. I was kind of stumped for what I could do. That pretty much left me with a bottle of peroxide. It is only as I am sitting here, writing the actual post after having shot and processed the photo, that I remembered that I have blogged myself as a blonde – and even for another challenge (insert blushy face here). I went blonde when I created my movie poster meme several months ago – one of my favourite challenges ever. I was also a male in that photo, another thought I had but eliminated since I had already shown my masculine side. I just didn’t recall that I had gone blonde for the other half of that picture. So I’m going to discount it, since I wasn’t really me in that shot – I was Meg Ryan. Blog something you’ve never blogged before and/or something you normally wouldn’t blog. This is more of a photography themed meme, with a focus on visuals of the item(s) you’ve never blogged before, however, if you prefer to make it a written meme and just write about something you normally wouldn’t write about, that’ll work as well. Don’t forget to leave a link to your post in the comments (of this post) and share your images in the blog memes flickr group. Before I get on to this week’s Monday Meme (yeah, I know I’m late!) I just wanted to mention that today is Pink Shirt Day and I am wearing mine proudly! Although you can’t really see what the shirt says in these photos the intent is to show support against bullying. Poulet Koenkamp of Purple Moon has this shirt – and a guy’s version – at her store for a minimum donation of 10L. You may, of course, pay more and all proceeds are going to CKNW Orphans’ Fund in support of Boys & Girls Clubs Anti-Bullying programs. The shirts are transfer, so you can pick up a few to pass along to others. Big thanks to my lil Cao for bringing this to my attention. You can read more about it on her blog. Copy and paste the following questions and answers into your post, delete my answers and input your own. Don’t forget to leave a link to your post in the comments (of this post) so we can all come and see. If you create an image for this meme, feel free to share it in the Blog Memes Flickr Group. 1. Are you a bookworm? – I am. I panic if I don’t have a book to read, which is why I have read a lot of books more than once. 2. Which do you prefer: hardcover, paperback or electronic? – I am now a dedicated e-reader. I have a Kindle and have the Kindle app loaded onto my tablet and my phone. In fact, I probably read more from my phone than anything, a habit I picked up taking the train (one less thing to carry). That’s why I had to include this picture! 3. Which book is your favorite? – This is not an easy question! I love the written word, so it is difficult for me to choose just one. I guess I’ll go with “The Pickwick Papers” by Charles Dickens because it is the book that gave me a love of the classics. 4. Which children’s book is your favorite? – The Giving Tree by Shel Silverstein. I have linked to a reading of this book by the author. There is just something so moving about this book and I have given a copy to all of my nieces and nephews, even though I didn’t discover it until I was an adult. 5. What’s the last book you’ve read? – I just finished “Bad Blood” by Dana Stabenow and I’m really pissed off with the way she ended it! 6. Name your top five favorite writers: – In no particular order, Charles Dickens, Sue Grafton, Dana Stabenow, Stieg Larsson and Jean M. Auel. With the exception of Dickens these authors write about recurring characters. I get invested in a person’s story and I want to know more. 7. Name a book that had a strong impact on you: – Believe it or not, “Pippi Longstocking” by Astrid Lindgren. It is the book that, as a child, gave me my love of reading. I wrote a book report on it in second grade because I wanted homework, like my sister. A few months ago my niece sent me a packet of papers that she found after my Mom passed away. That book report was one of the things Mom kept. Tears…so many tears. 8. Favorite & least favorite book genres? – I love classics and crime novels, particularly with strong female leads. My least favourite are formulaic bodice-rippers and fantasy. 9. Favorite & least favorite book-to-movie adaptions? – I can’t really think of a favourite book-to-movie adaptation. The book is always better. As for my least favourite, hands down, “The Shining” by Stephen King. I am not a fan of scary movies, but I actually laughed through that one. 10. Have you ever bought a book based on the cover alone? – Probably, but I can’t recall what it would be. I do frequently buy a book based on the author alone, though. 11. Where do you usually buy your books? – Since I read almost exclusively using the Kindle app I buy all of my books through Amazon. 12. Do you go to the library? – Not any more. But I grew up checking out the maximum number of books on each visit and I sometimes talked my sister into checking out one or two for me. 13. How many books do you own? – Actual paperback and hardbacks, I probably am down to a couple of hundred. I donated at least that many to a local second-hand bookstore when I moved two years ago. I have over 300 on my Kindle. That is another reason I love e-reading – I don’t have to worry about where to put them. 14. 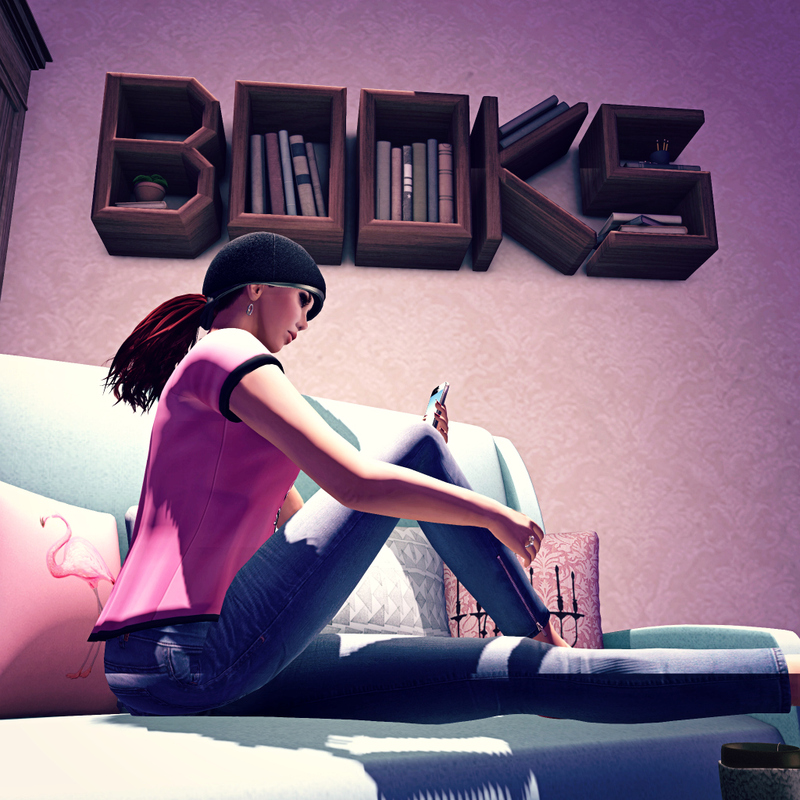 If you were to write a book about Second Life, which topic would you focus on? I would write about the ease with which people get to know others from all over the world. How people who would probably not give one another a second glance in real life become so close. I would have to include how Second Life gives people the opportunity to realise their dreams – even if it is in a virtual fashion. 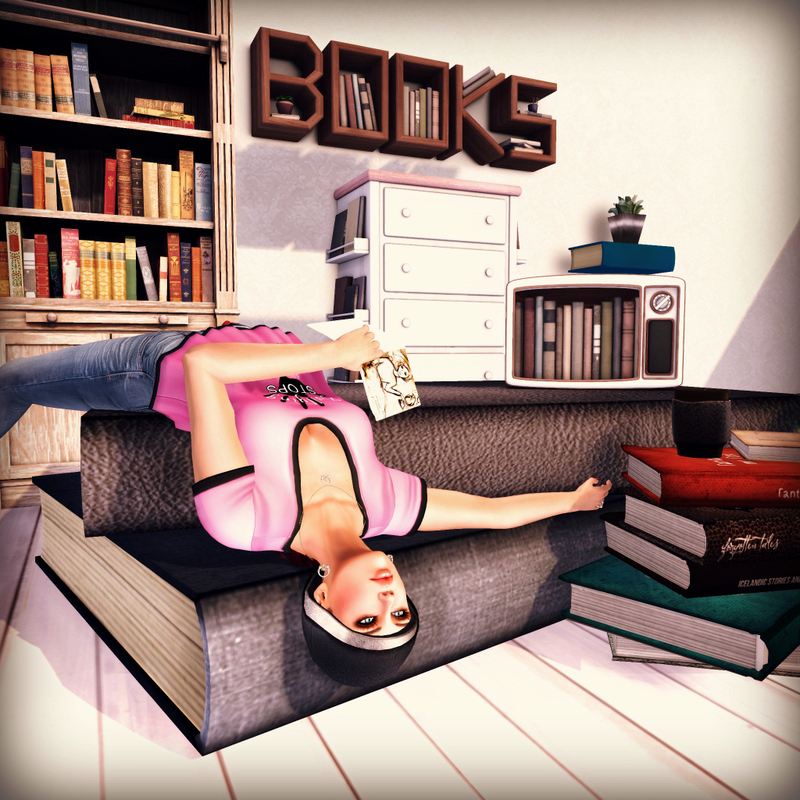 I guess I would in fact, be writing about the limitless possibilities Second Life offers. It is a horrible feeling. When you have bent over backwards, cried until the tears seem to have forged a permanent track down your face and still you keep getting hit by heartache and disaster. When you dread getting up in the morning, filled with fear of what calamity you may face today. It is a point in your life when you wonder if there is ever going to be a ray of sunshine amidst the clouds that seem to perpetually hang over your head. And yet, each day you do get up, you do face the challenge and you do go on. There is only one reason we find that strength, and that is through Hope. I took this photograph yesterday, planning to use it in my blog, but not sure what I would write about. However, our dear friend Berry, who normally sets our Monday Meme has had a very painful experience. She didn’t feel up to posting a Meme topic herself this week, so her dear friend, Winter Jefferson, did it for her. The photo seemed to be fitting. Take a few moments on your blogs or chosen social media to tell us about a time you faced your own personal nadir. When were you at your lowest point? How did you pull through and triumph to become the dazzling specimen of humanity you are today? When you reached out… who was there to help you back up again? Please, share your stories with Berry and the community – link them in the comments below (of this post) when you are done. Words, pictures, even interpretive dance. Let’s see what we’ve all gotten through, and maybe we can celebrate that the person on the feeds next to you is stronger than you ever imagined. As Winter says, this is very personal. It is a meme that I could have easily skipped, if I had let my own fear stand in the way. You see, I have skipped a few memes when I found them “too hard.” They have usually involved interviewing someone, and that meant that I had to ask someone for help. I’m not good at that; and it is a trait that has nearly left me helpless – and hopeless – on more than one occasion. But this time, I am going to share – to try to give back a bit to Miss Berry, who has been such a positive influence on me, and so many others in Second Life. So she can see that there is hope, despite the feeling that it has somehow disappeared.